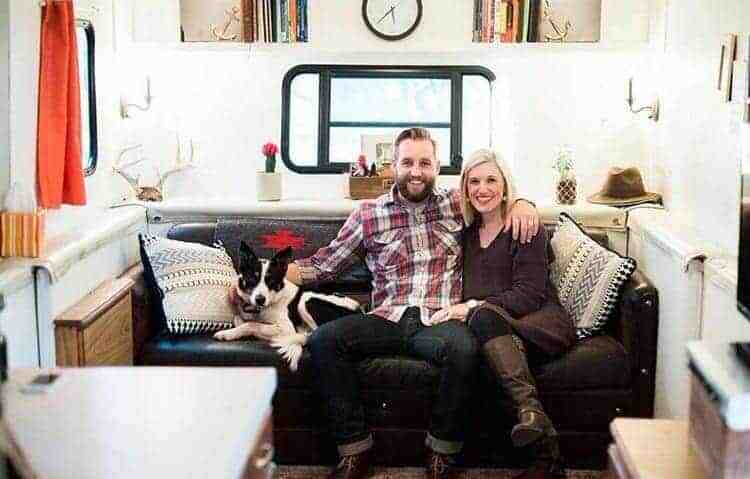 Millenial couple Zack and Jen McCullock knew they had to do something drastic to pay off their debt, so they decided to tackle it head-on by living in a cheap RV. Between them, the two had $50,000 in debt, mostly from student loans. Both worked entry-level jobs at non-profits, so they weren’t going to pay it off anytime soon. “We looked at the amount of time it was going to take to pay it off and it blew our minds,” Zack said. “Making minimum payments, it would take us 1o to 15 years, and we were like, ‘is this for real?’ and ‘do people really do this’? They sure do. According to CNBC, 70% of college grads have debt, and over 44 million Americans have over $1.4 trillion in student loan debt combined. Insane numbers, right? 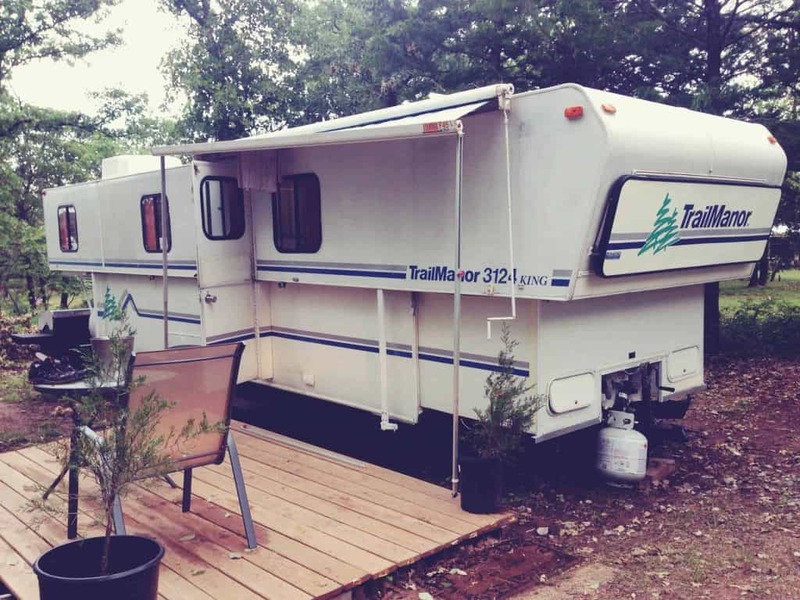 Zack and Jen bought a camper for $3,400 and planned to move out of their apartment in Oklahoma. They zeroed in on a 31-foot, lightweight Trail Manor 3412, a pop-up style camper with a hard shell exterior. It had basic necessities like a stove, toilet, and shower. 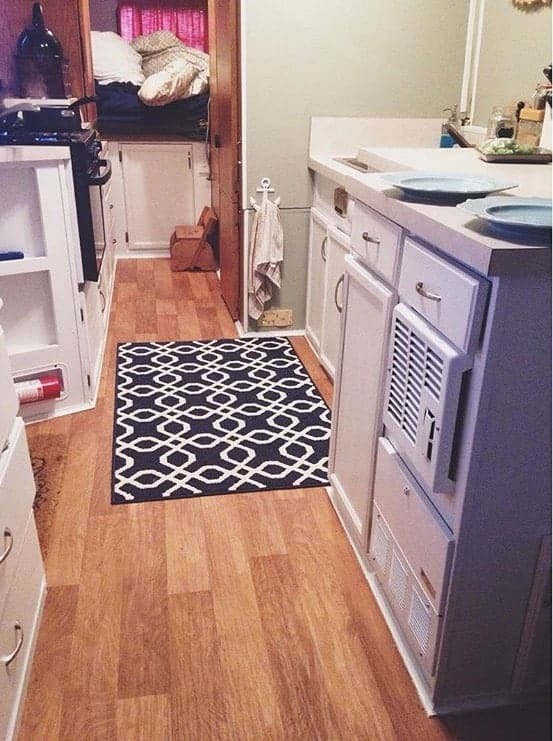 Zack and Jen then spent $500 renovating the cheap RV to make it feel more like home. This includes painting the walls white, changing the curtains, tearing out old cabinets and putting in a small TV. Also, the couple built an outside deck where they put patio furniture and a grill. 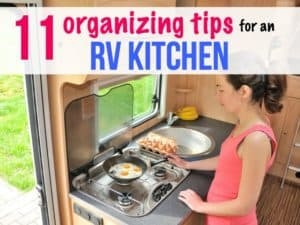 Photo: www.yourmoneyyourfreedom.comThey paid $75 per month to park the cheap RV on a piece of family land outside Oklahoma City, got rid of tons of stuff, and put the essentials in a storage unit. Then, the couple zeroed in on their debt. 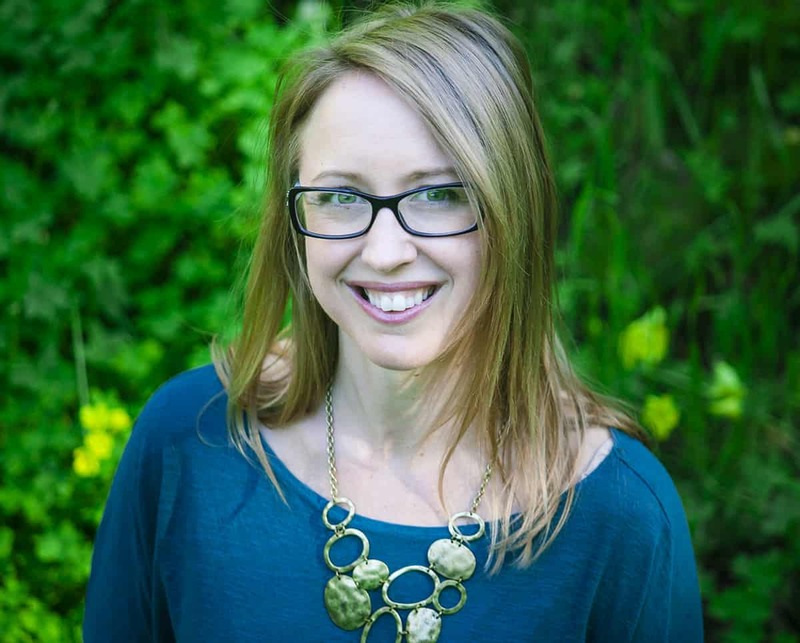 They negotiated cheap renters insurance, canceled subscriptions for monthly services like Audible and Hulu, and used the local library rather than buying new books. The two also looked at their food bill. Jen and Zack loved to shop at Whole Foods and Sprouts, but decided those stores were just too expensive when they were also trying to pay off debt. So, they started shopping at the discount grocery store Aldi, while purchasing food to cook at their camper trailer from WalMart. They also stopped going out to eat. With all these expenses slashed, the couple started paying $3,o00-$4,000 toward their debt every month. The couple said that even though living in the camper was cozy, it wasn’t always easy. They also had a close call with a tornado and hid in a nearby shelter while the winds thundered past. He said another big challenge to get used to while living in the camper was the lack of alone time. 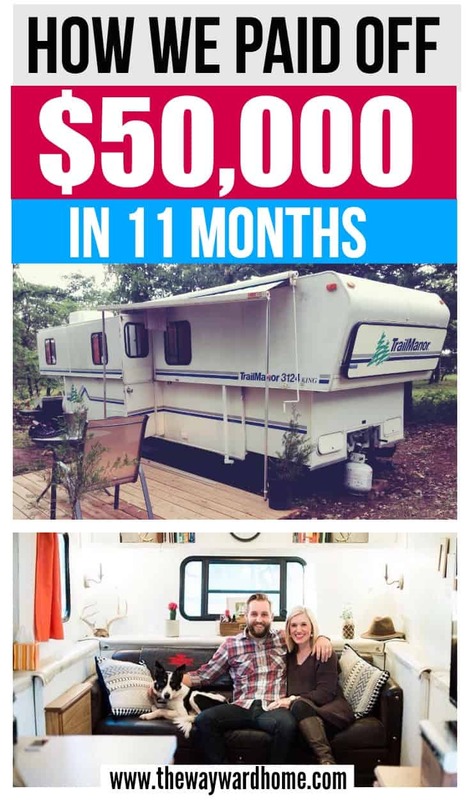 And after 11 months of full-time RV living, they were debt-free. Zack said we should think of debt as a luxury. 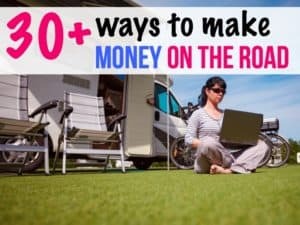 While living in a camper full time isn’t for everyone, there are ways to cut back and save to pay off debt. 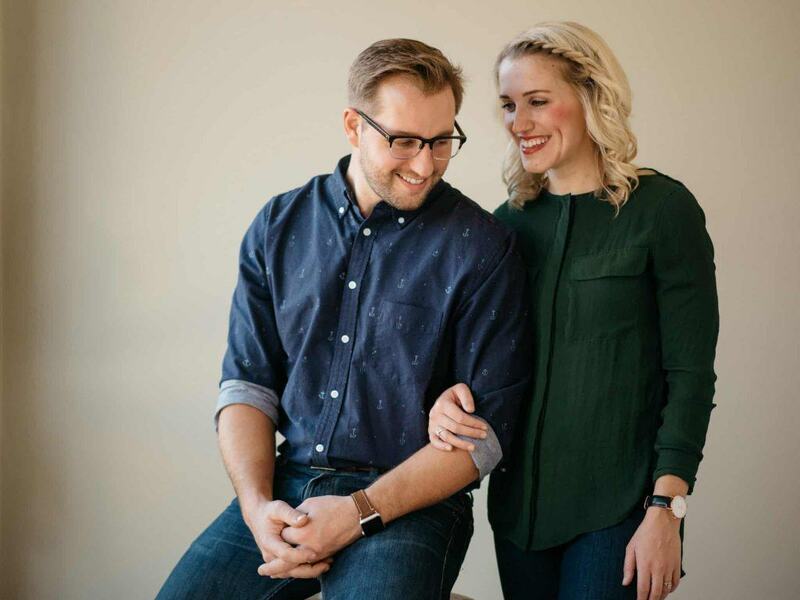 I think Zack and Jen are awesome and prove that sometimes, you just have to do what it takes to pay off debt. Debt can really cripple us, tie us to desk jobs we hate, cut down on our vacation time, stress us out. 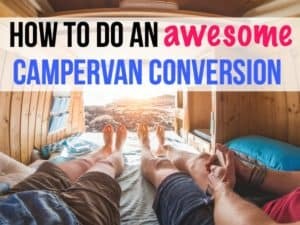 I think being debt-free should be the number one goal for everyone, and there’s something you can do to save today, whether it’s small, like cutting out cable, or big, like moving into a camper. I hope more and more people can experience the freedom of being completely debt-free. One is never too old to live frugally. Just stumbled onto your website. Good on you! Sometimes I miss living in the camper. I’ve seriously thought about hitting the road full time again. The simple life is not overrated! 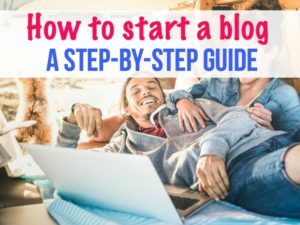 Super helpful article!! Loved it!! Just what I was hoping to find when I went looking for the inspiration! Thanks guys!